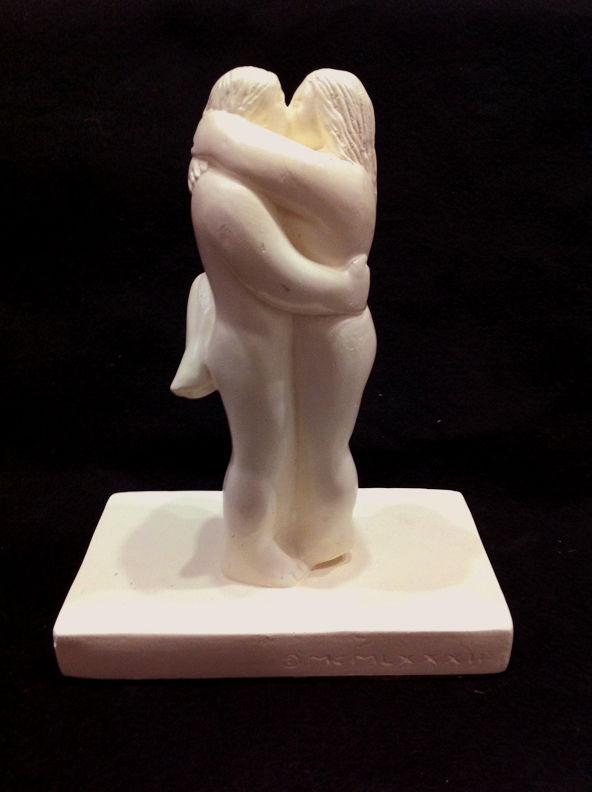 Aqaurius from the Zodiac Love series, 1982-87; painted plaster (hydrocal), 6 x 4 x 4 in. Tom Otterness’s sculpture series, Zodiac Love, was created in 1982 and originally marketed through the Art Direct mail-order catalog, a collaborative venture of the artist group Colab and Printed Matter, a specialist in independently published artist books. Additional copies of these sculptures were sold at Colab pop-up stores, and at the gift shops of a small number of downtown New York art spaces. The items for sale here come primarily from the store of Exit Art, a legendary now-closed alternative space that first opened in 1982. 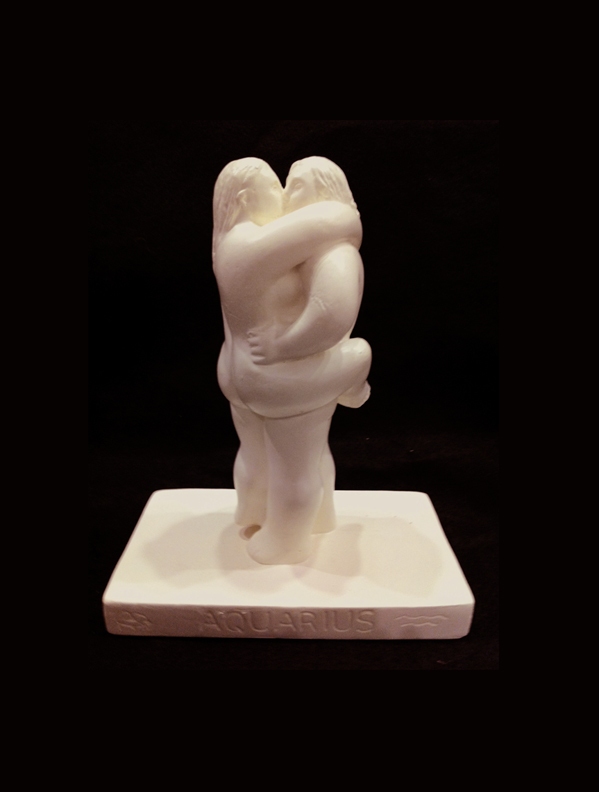 Like Otterness’s other plaster sculptures from this early phase of his career, the Zodiac Love sculptures are an open edition. The artist retains the right to re-open the cast series but all the Zodiac Lovesculptures currently in existence were made between 1982 and 1987. There is no exact count of how many of these sculptures survive, but there is no doubt that they are extremely rare. Gallery 98 has one complete set of the twelve Zodiac Love plasters. Some Zodiac signs are also available individually. Please contact the gallery if you have any questions.